The move marks the first acquisition by Immediate Media since it acquired titles including Radio Times, Top Gear and cookery title Olive from BBC Magazines for £121m in August last year. It signifies the ambition of the Exponent-owned Immediate Media, which also publishes Origin Publishing and Magicalia magazine titles. 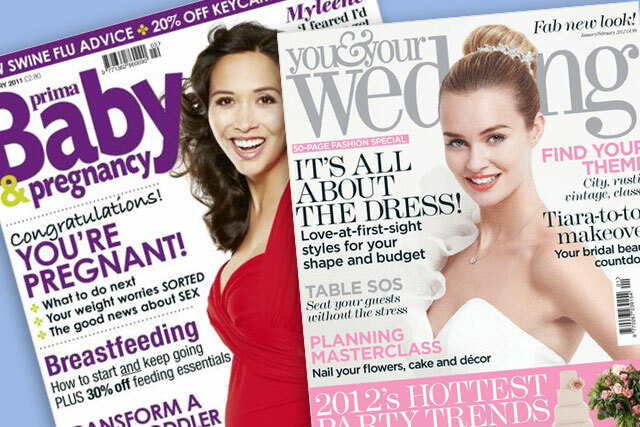 Immediate Media already publishes a parenting portfolio including Practical Parenting and Pregnancy magazine, and the MadeforMums digital network, as well as bridal brand Perfect Wedding. Hearst Magazines, the publisher of Esquire and Cosmopolitan, said the offloading off the tiles reinforced its strategy of focusing on its core titles. After a period of consultation, all staff working on the titles within the deal are expected to transfer to Immediate Media's London offices. According to Audit Bureau of Circulations (ABC) figures, Prima Baby & Pregnancy recorded a circulation of 31,926 in the six months to the end of June 2011. You & Your Wedding, which is published every two months, reported an average circulation of 48,664.